Red Swing Consulting Services, the civil engineering component of Red Swing Group, focuses first and foremost on building and maintaining strong relationships with its Clients. Mutual trust from those relationships is the foundation of solid business partnerships, which is how Red Swing views its Clients – as Partners. Red Swing offers complete land development consulting services to take a project from concept through construction. Licensed in 17 states, Red Swing possesses vast and varied experience in land development, infrastructure, utility and communication projects for public, private, and commercial Clients. With its small and nimble approach, Red Swing effectively and efficiently maximizes the return on investment through a collaborative design approach. 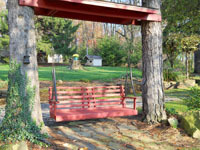 Red Swing utilizes a Low Impact and Sustainable Design approach in its day-to-day efforts. This philosophy reduces project capital costs and produces the Competitive Edge in the Marketplace that we and our Partners demand.